Most people who watched Monday's Home Run Derby saw an exciting and fun event. Fans of the Chicago Cubs saw a conspiracy because of course they did. 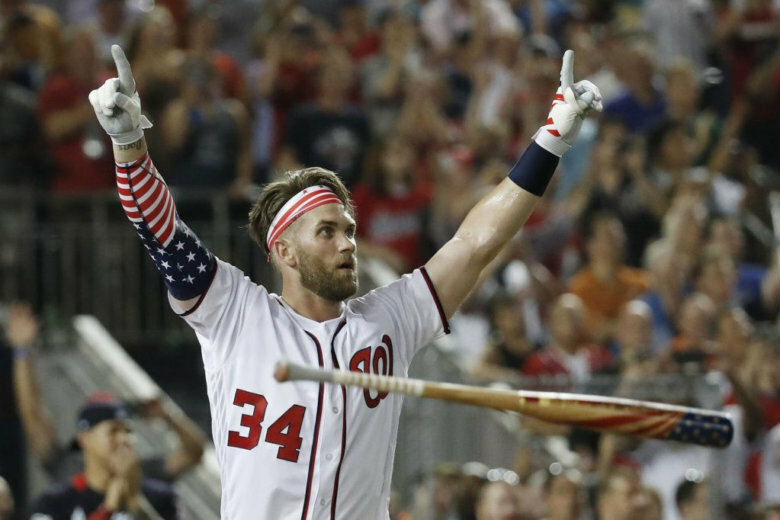 WASHINGTON — Most people can agree, Monday night’s Home Run Derby was one of the most exciting and memorable events in recent All-Star Game history. Unless, of course, you’re a Chicago Cubs fan. While most people who watched were fawning over the last-second drama (a phrase not normally associated with baseball), Cubs fans saw a conspiracy. The “cheating” here is referring to the rule that calls for pitchers to wait until the ball lands before they throw their next pitch. If you take a look at the video, it does seem like some of those last pitches to Harper were coming in a little fast and maybe the last ball hadn’t totally landed quite yet. On Twitter, a social media platform that is usually reserved for high-minded, philosophical debate, the video is getting the same level of scrutiny that conspiracy theorists give to the Zapruder film. @MLB Harper cheated. If you are going to change the rules every year at least enforce them. They didn’t wait for the last ball to land. Cubs fans, it appears, are one of few groups of people who think that baseball just moves too darn fast. But you know who didn’t see a conspiracy? Kyle friggin’ Schwarber! You would think that Schwarber admitting he ran out of gas and praising Harper would put some degree of cold water on this “conspiracy,” but nope. This would be a good time point out that the Home Run Derby doesn’t really matter and is designed to be fun and entertaining. Stop. Just stop it. “Home run derby truthers” should NOT be allowed to enter the lexicon. In fact, at the end of the season, how many people will even remember who won the Home Run Derby? 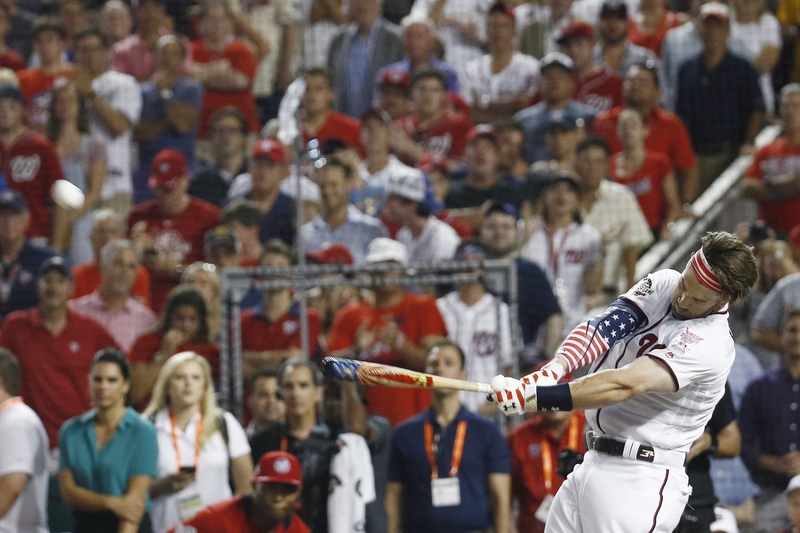 Bryce Harper won the All-Star Home Run Derby on Monday night with an exceptional display of power that carried him past Kyle Schwarber of the Chicago Cubs 19-18.